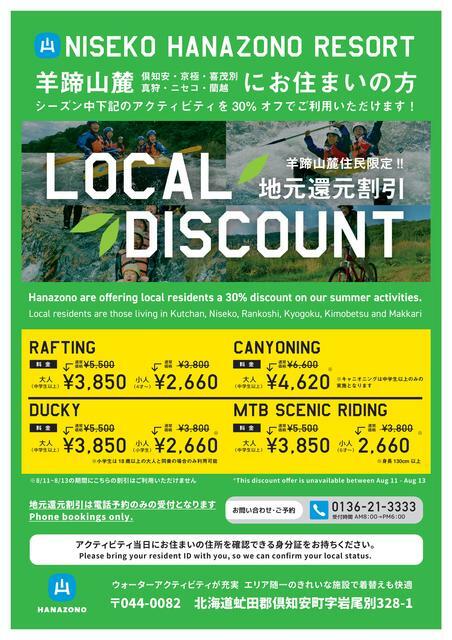 HANAZONO is now offering 30% discounts to the summer activities! Don't miss it!! Local residents are those living in Kutchan, Niseko, Rankoshi, Kyogoku, Kimobetsu and Makkari. *This discount offer is unavailable between Aug 11 - Aug 13. Please bring your resident ID with you, so we can confirm your l ocal status. BOOK NOW!! -Phone booking only.